R&S proudly presents brand new signing Felix Manuel AKA Djrum. 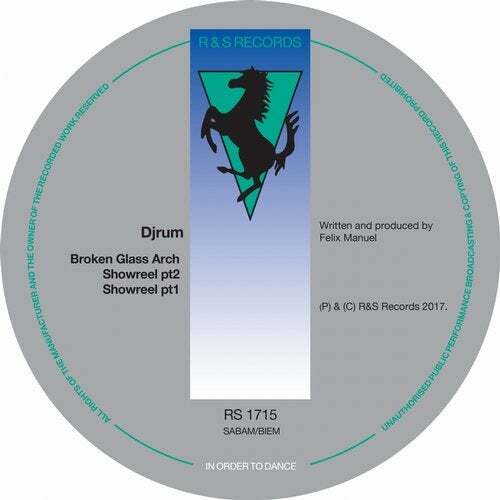 Djrum is a perennially acclaimed underground artist, since his first release in 2010 who's quietly built a list of fans that reads like a who's who of contemporary dance music. Felix now steps up to the plate at R&S with one of his most visionary releases to date. Deeply meditative melodies twist and turn through stuttering rhythms and pulsing low bass, hypnotic pads and woozy atmospherics. Manuel's music somehow manages to retains the urgency and dynamic pressure of the dance floor with the intimacy and elegant detailing of the best headphone music. A natural fit for R&S, there is a full length Djrum album in the pipeline in 2018 - looks like it's going to be an exciting year ahead.